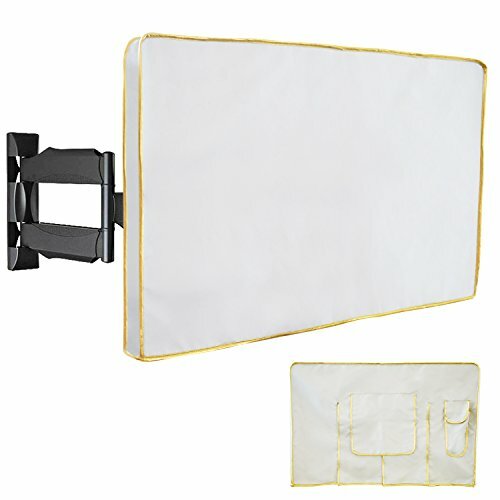 Feel peace of mind that your TV is safe with a weatherproof TV cover from Stronghold Accessories. A must have item for any outdoor entertainment enthusiast! Outdoor enthusiasts around the world rely on Stronghold Accessories TV covers to protect their investment. KEEP YOUR TV DRY - full 360 degree protection from all angles (including the bottom!) means that the elements are not going to come in contact with your TV. MAXIMIZE YOUR TV LIFESPAN - give your TV the year-round protection it requires from rain, mildew, moisture, animals, snow, wind, sunlight, sea water and bird droppings. If you have any questions about this product by KaBaMen, contact us by completing and submitting the form below. If you are looking for a specif part number, please include it with your message.